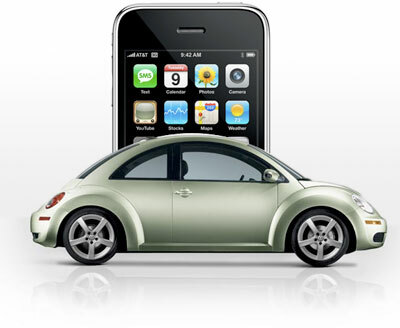 Poll: Would You Give Up Using Your iPhone in the Car for Increased Safety? Studies say that drivers using phones are four times as likely to cause a crash as other drivers, and the likelihood that they will crash is equal to that of someone with a .08 percent blood alcohol level, the point at which drivers are generally considered intoxicated. Research also shows that hands-free devices do not eliminate the risks, and may worsen them by suggesting that the behavior is safe. Some states have passed laws requiring hands-free phone use (it's required where I live), some are no passing no-texting-and-driving laws, and some are trying to see if they can ban mobile use entirely. Driving while talking on the phone is singled out, of course, though we'd suspect driving while following a map, eating, tuning the radio, checking out the scenery, even talking to another passenger (though arguably they have additional eyes on the road to mitigate) are all distracting to one degree or another. TiPb's curious what you think about talking on the phone while driving, and what, if anything, you think should be done about it?